This is an edited version of my Goodreads review for this novel. 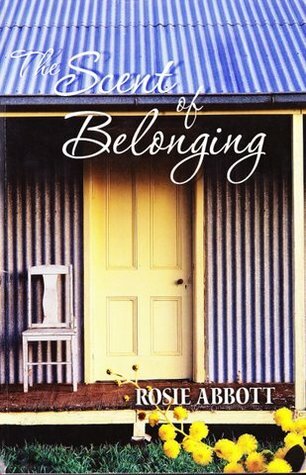 This gently paced novel The Scent of Belonging by Rosie Abbott is set just prior to and during the Second World War in Gippsland, south eastern Victoria, Australia. We're drawn into the story of a recently qualified primary school teacher Ellen, and the challenges she faces moving to what was then a remote location. She struggles to fit in, not only to the family with whom she is boarding, but to the school and district. We learn about the farming community she has joined, teaching, the looming war, love and loss. 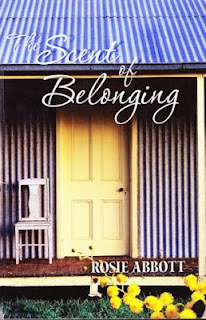 Rosie Abbott has captured the spirit of the era beautifully; the remote Victorian farming community, as well as the frustrations of women teachers after the war. When the men returned, the women were expected to go meekly back to the kitchens, as if nothing unusual had happened. This affected not only them, and many had difficulty adjusting, but their students and the region often suffered as well. Some of the men who'd returned from war were completely unsuitable for teaching, and far too many were dreadfully emotionally scarred and had trouble adjusting to civilian life. Ellen tackles these and other difficulties in her community with strength, courage and grace. The challenge for me in reviewing this novel is that I have known Rosie for many years, stayed with her and her husband, and walked the beautiful Gippsland hills smelling the wattle. I heard her voice throughout the pages, saw the farmhouses, felt I knew the characters. However, the novel also resonated with me deeply, not only because of our friendship, and having heard Rosie talk about her writing, but I've known women whose primary school teaching experiences during the war were similar to the character Ellen. I felt I understood their lives more than previously and wished I'd known them better and talked to them about how they'd adapted to a life without the teaching career they'd loved so dearly. Rosie worked for a number of years on The Scent of Belonging and has shared her well researched knowledge and love of the region and its inhabitants with sensitivity and warmth. This book could be useful for English and History students as well as for those interested in gaining insight into an era long gone. There are good themes for book club discussions including belonging, knowing ourselves, displacement, love and loss, as well as the legacy of war.